If you ride BMX, you want gloves that offer you a grip you can count on without worry. 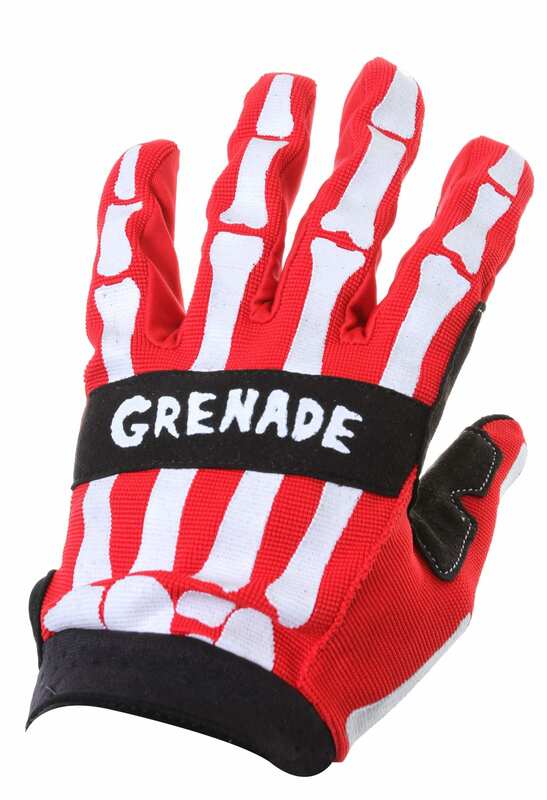 For that, there are Grenade Skeleshred BMX Gloves. 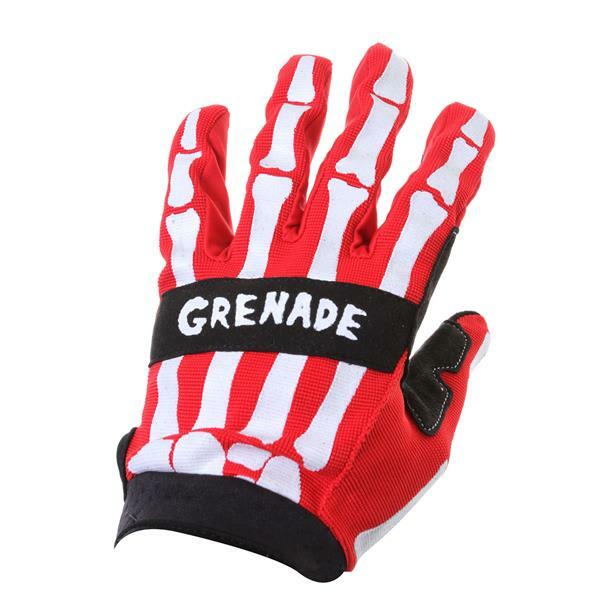 Besides the sheer cool looks of the boney skeletal fingers on the outside, the palm of these sharp looking stretch corded nylon gloves is made of durable synthetic suede, so don't hesitate to hold on tight when you need to most. And, for extra grip, there's a patch on the thumb as well. My 13 y/o son’s been wearing them non stop. Great I love these gloves, the only thing though is that I be going in a lot and I'm starting to see that the glove grip part is starting to wore off. Other than that everything is good! 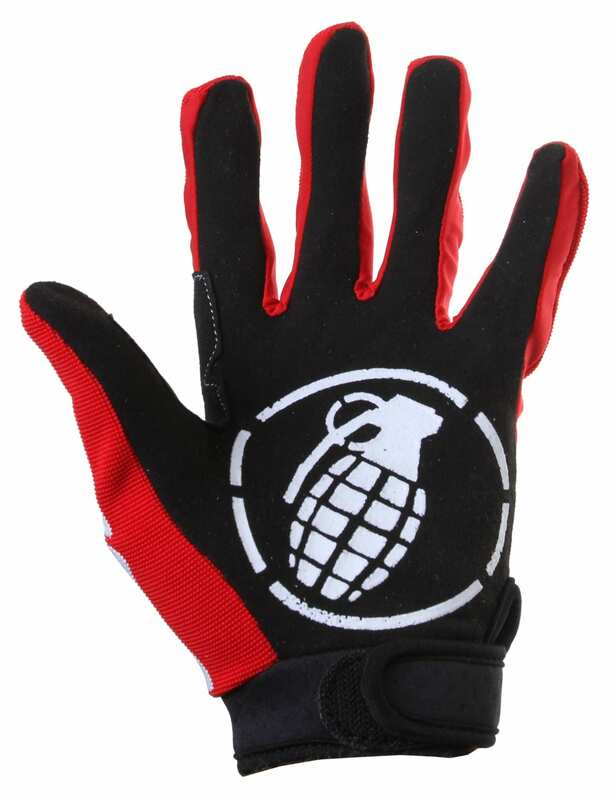 because they are sicker than any other MTB glove I can find. Are the BMX gloves in adult or children sizes? Chris, they come in adult sizes. Adult size and true to size.